In the wide open landscape of Little Asby Common beyond Orton the sky brings clouds of every shape and, for many days of the year, a harsh wind. 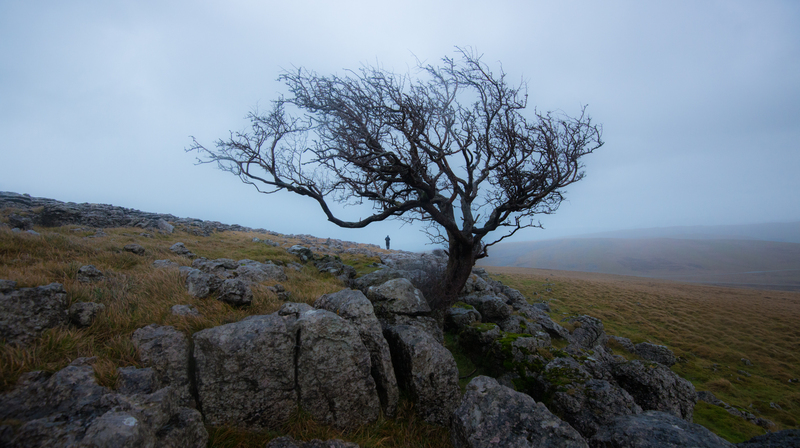 The remarkable Hawthorn that hid itself as a sapling in the clinker between ancient limestone slabs has battled with the wind for decades, shaping itself in the only way that could ensure its survival. It now stands strong, defiant, and beautiful. Stand with this tree – root yourself well against the wind – and look south to the rolling sides and backs of the northern Howgills, or face north to the wide sky above the rich Eden Valley. Skylarks serenade the tree in summer and in spring, when the wind is in the right direction, or the air is still, you might hear the curious sound of a snipe drumming. This hawthorn holds its place as if with pride and seems as old and wrinkled as the rocks around it – limestone slabs containing fossils as memories of this land as a sea bed. Of course, it is much, much younger, but there’s a sense that it holds the land’s history. 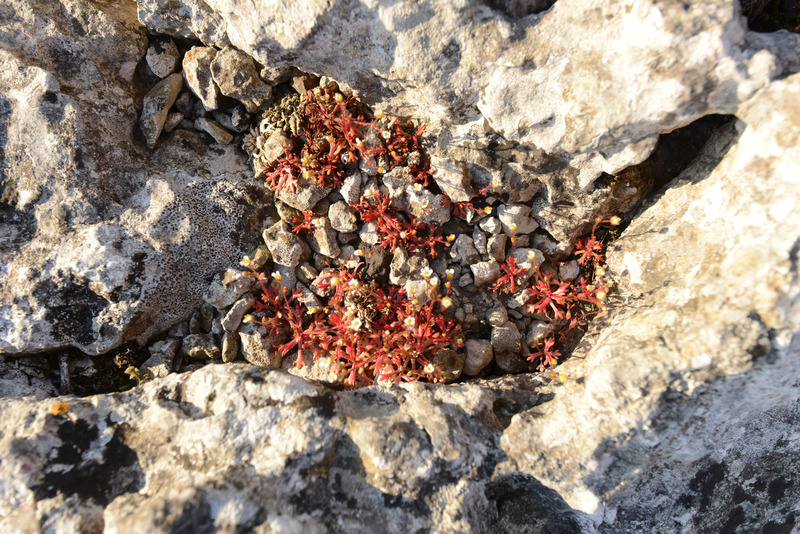 When the sun hits the tree in the late autumn its berries sing blood red – some are beginning to yield new life and in the rocks nearby where a few youngsters are trying to gain their own foothold, despite the occasional nibble from sheep. This tree stands on land owned by Friends of the Lake District and the land it witnesses will be included in the new extended area of the Lake District National Park from August 2016. The first time we approached this tree I watched from the car as Rob walked over. I couldn’t make it there with a broken ankle. It was spring and an independently-minded lamb decided to join Rob and our dog Guilly, running right next to them, bleating all the way. I watched the three of them walk into the distance, gaining height, then become dots where the limestone breaks out of the grass to form a wall. They became silhouettes alongside the tree, standing up against the wind. The second time, I walked to the tree and found a cache of rabbit bones: a delicate skull, leg bones, a severed jaw. 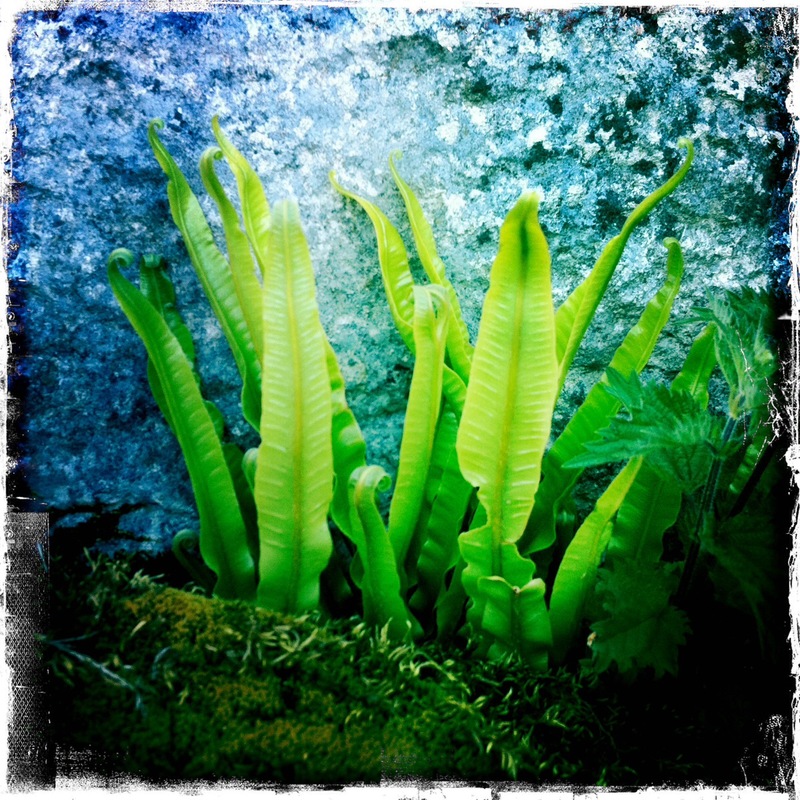 Inside the limestone walls nooks and crannies (more formally known as clints and grikes) harbour small worlds of ferns and mosses and flowers – herb Robert, campion, saxifrage, tormentil – and more bones. I can quite easily sit with the rocks and their treasures, and the view, and the tree, for hours. on this single, wind-blown tree? We are leading walks to each of the seven trees during 2016 (see our walks page) and walked to the Little Asby Hawthorn on two occasions in July and August. Over thirty people joined us along with a hedgehog and a fox, some rain, sunshine, and tea and cake … more in this blog. We’ll add blogs to this page as we publish them, so watch this space to find out more about this tree and its environment, and our own journeys to it.